Vedic Horoscope, also known as Janma-kundali or Janmapatri is the centre point of Vedic astrology. Your Horoscope computes the position of various planets and astronomical aspects like Lagna, etc. at the time of your birth. The science of Vedic astrology (Jyotish) is the interpretation of this data. Get Your Computerised Horoscope Instantly! Get your horoscope calculated and generated by the computer instantly in your own language. The horoscope will be instantly downloadable in PDF format and you can view this on your computer, phone, or share it with your friends and family. Your astrologer will need all of this information to interpret and answer your questions if you ever require consultation. We don’t just give you astrological computation and charts, we also bring you a detailed interpretation of these charts based on the proven scriptures and astrological shastras. These interpretations give you a fair and comprehensive analysis of your Janmakundali and you’ll be able to get a very understanding of what Vedic Astrology says your life will be life. Your 32 page horoscope is going to unravel your entire life according to the science of Vedic astrology before you. Want to see what kind of horoscope you’ll get? Click on the icon below and see a sample PDF file containing a sample horoscope in English. Your similar horoscope will be delivered to you in your chosen language. Astrobix.com is built by veteran experts in Vedic astrology and astrological programming. 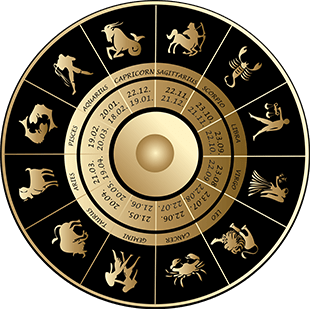 With over 17 years of experience, we are the most popular creators of astrological tools in India. I have read & agreed to the Terms & Conditions! Thanks! You are being redirected to the report page.